Patient care relies on interprofessional interventions. Interprofessional communication, including genuine patient understanding, is critical to the provision of holistic care, adding significant complexity to your work. 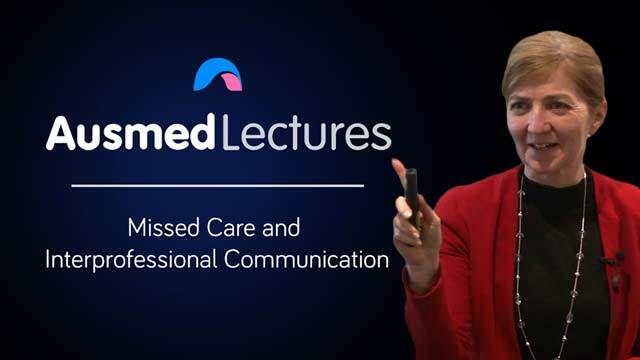 This session examines two missed care case studies to illustrate the importance of good communication between both the patient and the healthcare team. Kathryn Salamone has worked in nursing for over 30 years. In the years since, Kathryn has completed a Masters of Nursing Science, Graduate Diploma of Education (Nursing), Graduate Certificate in Clinical Practice and Management (Oncology) and is currently enrolled in a Masters of Public Health. Her main clinical focus was oncology, haematology, palliative care, and aged care nursing; with the last 20 years in various clinical education and teaching roles. She is passionate about professional practice and the issues faced in nursing today. Kathryn currently works at a large metropolitan hospital in Victoria. Ver clear and engaging. The 'real life' examples reinforced the point very well. Very clear and engaging. I loves the 'real life' examples. Engaging speaker on such an important topic, would love to see her featured more. It was a great talk and I believe sometimes nurses just need to have a break and start to learn and listen to whats going on around them rather than just being focus on completing their job.